This season of intense but shallow political debates sparks another fear in the heart of alternative energy vehicle proponents. Will Romney kill the electric car? It would be easy to jump to that conclusion and we can only see one of the two parties using this to instill fear in the heart of would-be voters. Nonetheless, the question is valid. If candidate hopeful Romney wins, he pledged his administration would cut loans to electric car companies and focus more on drilling for petroleum locally in order to boost output. Is this a myopic strategy bound to tie the economy even more to petroleum and kill electric car advances or does it even matter at all anymore? Early Adopter Phase Over. We can look at Romney’s reiteration of nipping loans to electric cars in many ways. Is the glass half full or half empty, in other words. While a presidential win from candidate Romney would certainly spell the end of loans for electric vehicle companies, or at least on the surface, it doesn’t spell the end of electric cars. Too many people now own, have driven and simply understand the value of an alternative energy car in a world where gasoline price has never shown to come down to the levels of yesteryears. 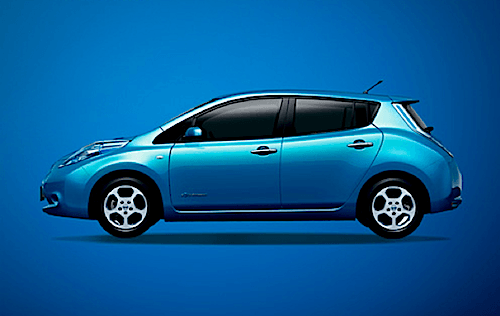 Nissan knows it, Ford knows it and CODA is well aware of it, the early adopter phase for electric vehicles is over. Welcome to the early mass-adopter phase. If the early adopters are not reflective of the mass buyer’s segment, they do help pave the way. They are willing to pay a premium for something new and often have different motivations. For early adopters, the electric car has two general meanings. It can be a way to have something new, bringing them out of the same old technology with a different skin. It’s a way to satisfying their need for modern, bleeding edge technology tools as well as satisfy their technological curiosity. They are forward thinking people with a good eye for future technologies. The other lesser wave of early adopters are those concerned with the environment. Buying an electric car, no matter what studies you will show them still means not putting gasoline in their cars and “get their hands dirty”. What Did Romney Say. In essence, Romney is sticking to his gun, which does not necessarily oppose the Democrats’ future plan. It barely shifts the funds and shuffles the energy policy dance, which taxpayers will pay for ultimately. According to his speech in Ames, Iowa: "Rather than investing in new electric auto and solar companies, we will invest in energy science and research to make discoveries that can actually change our energy world. And by 2020, we will achieve North American energy independence," It doesn’t say much, nor are we any clearer about what that “actual technology change” is. and electric cars, EV, hybrids, HEV and plug-in hybrids, PHEV have shown to sell as well as when hybrids were introduced over a decade ago, and that’s in the middle of a downturn and a modicum of a recovery. Electric cars have been thought of as one aewsnr to our dependence on fossil fuel burning vehicles. Their main appeal is that they produce no air pollution at the point of use so provide a way of shifting emissions to less polluted areas.Unfortunately also "out of sight" are the environmental consequences of manufacturing and recycling the lead- acid batteries electric vehicles require to run on.A recent report in Science (Lave et al, vol. 268, p 993. May 1995) drew attention to the problem of lead batteries in electric cars: "Smelting and recycling the lead for these batteries will result in substantial releases of lead to the environment". The researchers compared the power, efficiency and environmental effects of electric cars with petrol powered vehicles. Not only are electric cars comparatively slower and far more restricted in the distance they can travel but release more lead into the environment as well.The study showed that an electric car with batteries made from newly mined lead releases 60 times more lead than that of a car using leaded petrol. (Their example uses the relatively high 2.1 g/gallon leaded petrol used in the US in 1972 and in some Australian states up to the 1990).Although the lead discharged in lead smelting and reprocessing is generally less available to humans in the U.S. than that dispersed by leaded petrol cars driving where people are living (only one percent of U.S. petrol sold is leaded) there are still significant hazards. Lead processing facilities release lead into the air and waterways, and lead in solid waste leaches slowly into the environment.Electric car by Alexander Claud aged 10.Clearly electric cars, despite their "good for the environment" image create far more of a problem than leaded petrol cars. In addition "If a large number of electric cars are produced, the demand for lead for batteries will surge, requiring more lead to be mined." (ibid, p.995)Manufacture needs to be halted until an alternative safer power source is found. This rules out current alternatives such as nickel-cadmium and nickel metal hydride batteries which are also highly toxic and far more expensive. Researchers speculate that sodium-sulphur and lithium-polymer technologies may eventually be used.